...this morning was that it's not looking good. 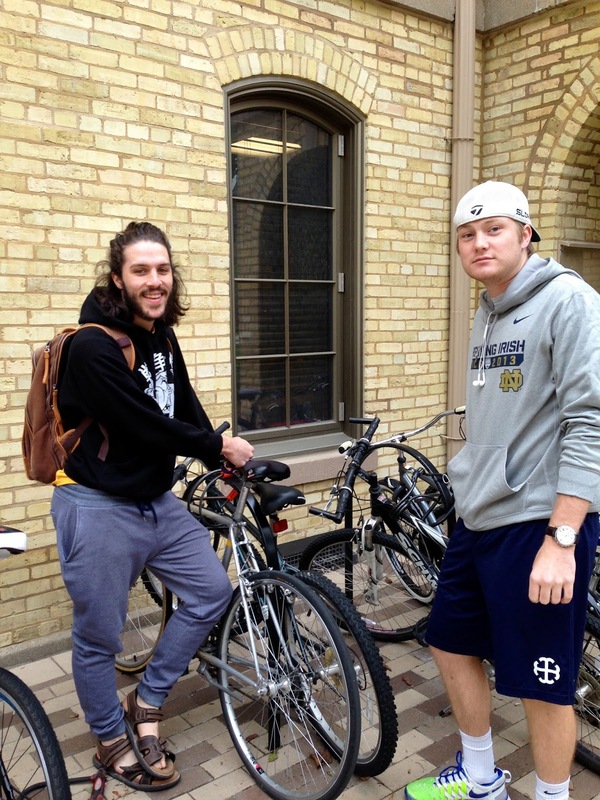 That's what juniors Griffin Hilly (above left) and Ian Weber (above right) said at the Steds bike racks this Monday morning about this new week of learning. Even though it was an away game, the weekend had a lot going on from game watches, fall dances, inter-hall football, fantasy football meltdowns, and, oh yes... homework. Still, there will be no slowing down his week. On week seven of the Fall Semester, Hilly said, "It doesn't look good," and Weber added, "That's an understatement."